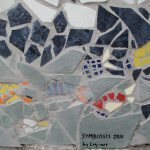 One of our projects at Symbiosis Festival was to make a mosaic as a memorial to the current Refugee Crisis. 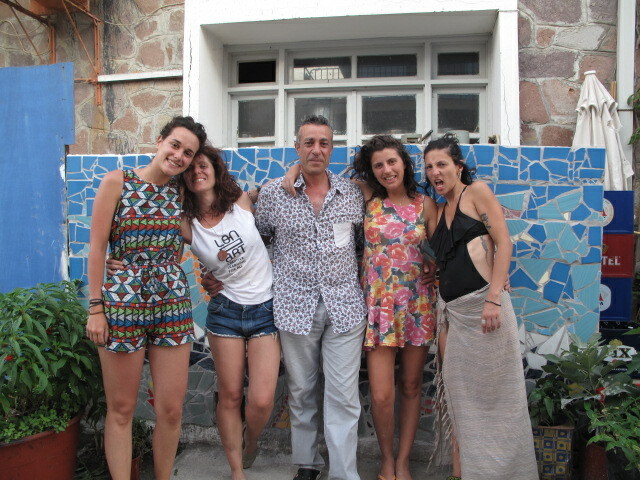 For the location, we chose Eressos, a nice village in Lesbos with a very open-minded community. This meant most of the locals celebrated to have our mosaic, although we were aware that it could have easily arisen controversy too, as not everybody feels about refugees the same way. 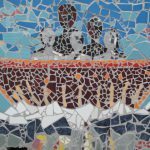 Our mosaic aimed to create a strong image to remember the tons of families that are putting their lives in danger, running away from their countries in conflict. Because the sad truth is that, in a war context, crossing the Mediterranean Sea on a boat to end up in a refugee camp is even safer that staying home. We believe that the refugee crisis and humanitarian disaster we are witnessing cannot be forgotten or erased from our history. And thus we wanted to leave a long-lasting print. – Our donors, who made this possible with their donations. 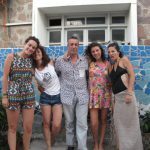 –Adonis Restaurant in Eressos, where the mosaic is, and its owner Niko, who fed us and took care of us while making the mosaic. 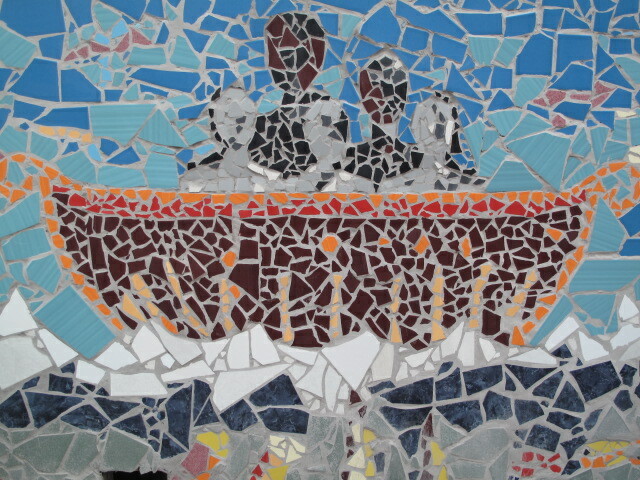 -Local children and adults who contributed in the making and cleaning of the mosaic. 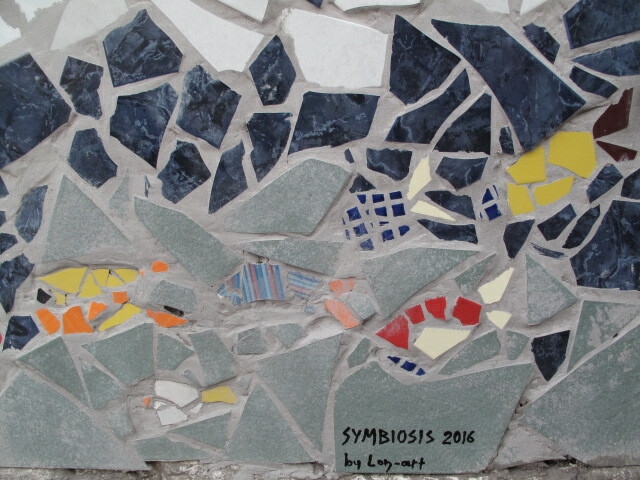 -The volunteers who helped to finish the mosaic in just two days: Mel and Maria and the rest of the Symbiosis team, who helped with the logistics and support. -Special thanks to Miranda Lathouras, who designed and directed the making of the mosaic. Big thanks to all the above for all their support! To top it all, the remaining materials are still being used in the refugee camp Kara Tepe, in Mitilini, where different parts of the camp are being filled in colours by children and adults. Miranda will post pictures very soon!